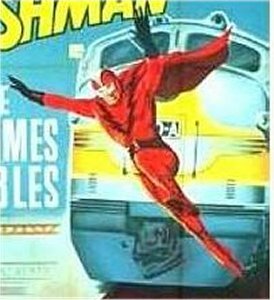 History: Flashman was a hero who tried to stop bank robberies which were being commited by criminals who had stumbled upon an invisibility serum. Comments: Played by Paolo Gozlino. Thanks to Ronald Byrd for informing me of this character. anyone else whose name includes "Flash" or "Man"